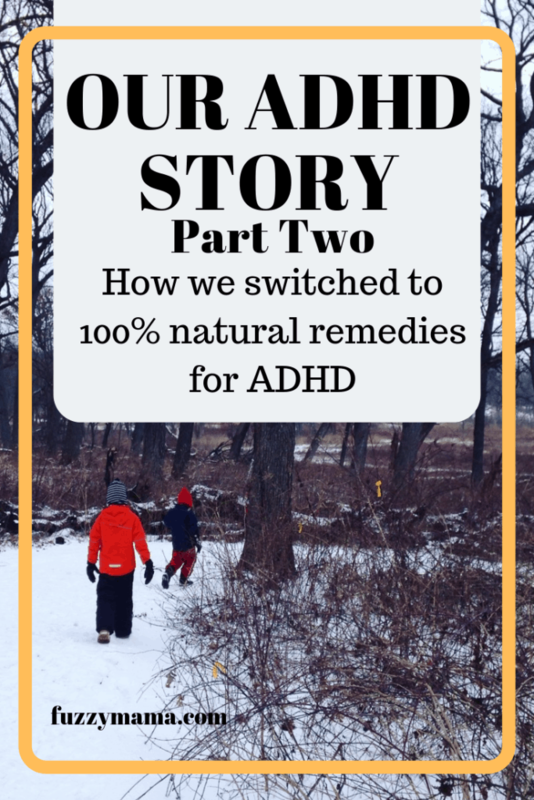 This is part Two of our ADHD Story and our journey from treating ADHD with medications to 100% natural ADHD remedies. If you haven’t read Part One of Our ADHD Story, I’d start there. This post will make more sense with the backstory and there’s lots of good learning from my mistakes in Part One, too. But in a nutshell, at this point, we’d tried many ADHD medications to help my son with his focus, attention, and explosive outbursts. My younger son also has ADHD, but presents itself VERY differently. We never started meds with him. 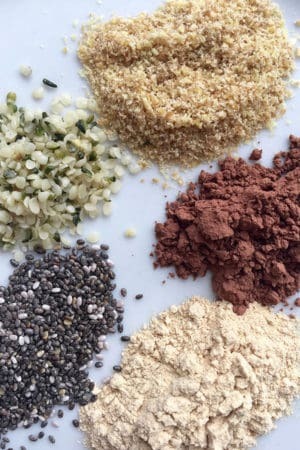 Honestly, we’d had some tangible results from some of the natural remedies for ADHD that we had tried, like taking fish oil and a high quality multi-vitamin supplement on a daily basis. We’d also discovered that my son’s behavior was better when we stayed away from gluten, corn and processed foods in general. But he was still taking 10 to 20 mg of Focalin a day. We kept searching for something else. I still felt that there was another way to help calm my son and allow him to handle his feelings better. Transitions were difficult, so were new or unknown situations, and doing things he disliked(like chores or homework). These things could still send him reeling – even at 11. Was he on overload from school? Were the amphetamines actually causing his anger? Another drug was added into the mix. The psychiatrist prescribed Prozac, in addition to the focalin, to help my son’s anger. We tried it. At times I felt desperate for a solution. Prozac seemed to be helping – a bit. But after about 8 weeks, we saw a big increase in his anger and hyperness. My son started to run. An interest in running had been brewing and we quickly got my son involved with a local running group. Unfortunately, the group only ran for 8 weeks and try as we might, we can not get my son to run on his own. It’s the group situation that is motivating for him. So at this point we had learned a lot. A healthy, high protein diet, a high quality fish oil, a good multi-vitamin and magnesium helped a lot. So did physical exercise. Lots and lots of physical exercise. We did a round of OT. I was learning more and more about the nervous system and the benefits of Occupational Therapy to help retrain the brain to respond differently to sensory input. Sensory Processing Disorder and ADHD have a lot of overlapping symptoms. An OT, perhaps, might help my son regulate his emotions. Our therapist recommended an OT who was cheerful and my son loved going. She worked a lot with zones of regulation – red light, yellow light, green light stuff. The only problem was my son did not have a yellow light. His outbursts went right from green to red in a matter of seconds. But according to her, he “graduated” and no longer needed services. This was all another learning experience. I was onto something – this work was a precursor to some reflex integration work I would find out about a year after our round of OT. Keep reading! I suspected the meds were doing more harm than good. 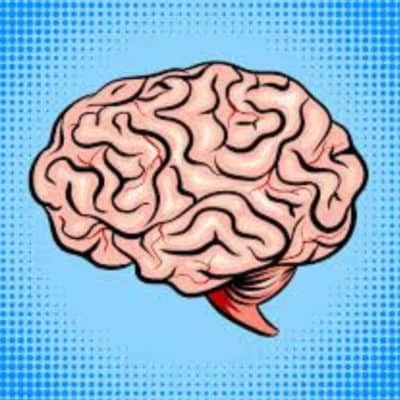 I was learning more about amphetamines and the brain. I was worried about my son’s growing brain and the possible long term effects of medications. Amphetamines are neurotoxins and have a high potential for abuse. They also have been shown to slow growth in children who take them. And if that wasn’t enough, this class of drugs can actually cause anger and aggression – the very thing that I was trying to stop. Then I did something a bit crazy. I stopped giving my son his meds, completely. “His grades are too good” and “He was doing too well” we were told. Unfortunately, the behaviors at home had no bearing on a 504. The school refused to look at the whole child. I felt like we were being punished for the fact that my son could keep it together, relatively well, at school. Yet, the pressures at school are what cause him to explode at home. We found THE BEST THERAPIST. It can take awhile to find the right therapist and for us, the sixth one’s the charm. I found him through Ross Greenes’ Lives in the Balance Website so he’s trained in the collaborative problem solving method. We wasted a lot of time with the wrong therapists. I wish I had followed my instincts and stopped a few of them sooner. Our new therapist taught us how to use the Collaborative Problem Solving Method. We were learning to find the root cause of his anger and work to solve the lagging skills that were causing the outbursts. The focus shifted completely off the behaviors and onto really solving the problems. There is a pretty steep learning curve to this method, but we worked on it every other week at therapy as well as much as we could at home. It takes time, but I was so hopeful. I bought a weighted blanket. ADHD often comes along with sleep disorders. Lack of sleep can drastically affect kids in more ways than one. It can lead to poor performance at school, irritability, moodiness, lack of focus – and simply exacerbate the symptoms associated with ADHD. Bedtimes typically are difficult for ADHD kids. It was hard for my son to calm down. Most nights he’d run around in circles right before bed. Once in bed, he’d find it hard to fall asleep. A weighted blanket was recommended by a friend and I decide to give them a try. I know how important sleep is for kids and I knew my son was just not getting a good enough nights sleep. 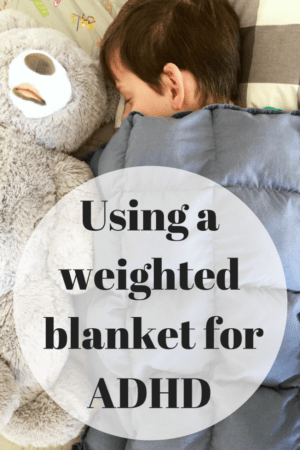 The extra weight gives proprioceptive feedback and can be very soothing. Remember how swaddled babies go right to sleep? 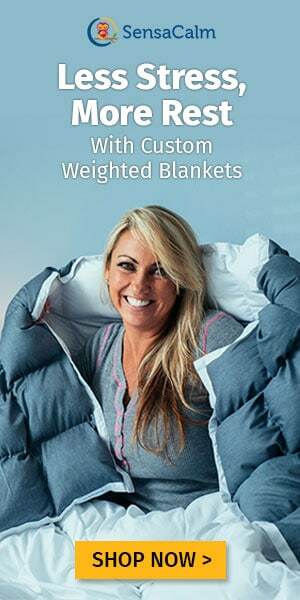 A weighted blanket is the same idea. The blanket helped my son to fall asleep within 10 minutes. How great! For all of us!! Then the laptops were handed out at school. Remember what I said about screens and my kids? They don’t mix very well. The thing about getting laptops at school is that parents and kids have no choice. 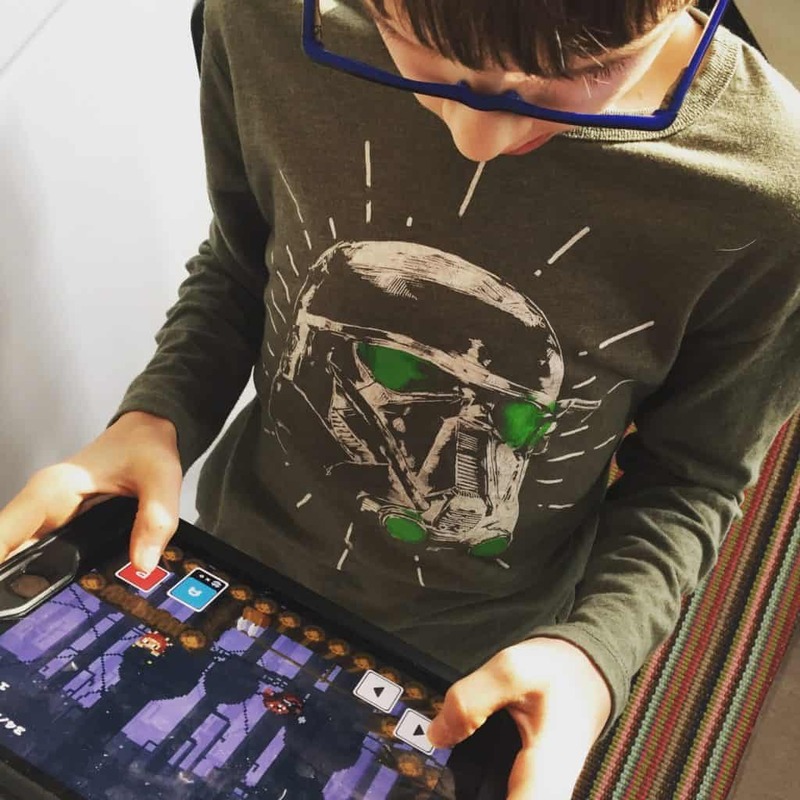 I can do everything I can to help my kids manage their screen use at home, but once they go to school I have no say. My son’s grades made a steady decline. They tanked, in fact. He was playing video games at school constantly. I reached out to the principal, the superintendent, his social worker. You are the best advocate for your child and even though you think you sound like a broken record, keep at it. I felt like I was relentlessly contacting someone at the school. But it worked, I got people to listen and make changes for my son’s benefit. I sent weekly emails to the school social worker. Sometimes even daily. She was amazing and made up for many of the pitfalls of a big public school. I’d let her know when my son had a bad morning and she’d check in on him during the day. When you find the people who are great at helping – let them help. My son finally got a 504, the last week of 6th grade. Our therapist joined us at our initial meeting, which was incredibly helpful. At least he’d be set for 7th grade. Needless to say, this all left me ragged. Another thing I’ve learned – you have to take care of yourself. My own well being is so connected to my son’s well being. I found forced myself to make some space to take care of myself a bit more. Not the pedicure type of self-care,type but the “really take care of your mind and body from the inside out”, type. I started seeing a therapist on my own. She was wonderful. 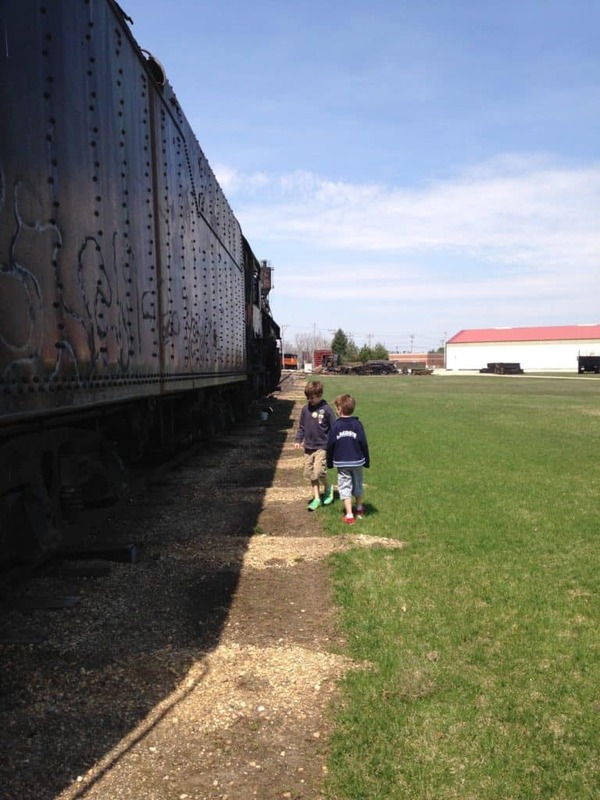 We focused on my triggers so that I could be more aware of my response to my kids. This helps. A lot. My ability to stay calm in the face of my son’s explosions helps as much as any other natural adhd remedy. This has also been the hardest “remedy” to give him. Our kids really know how to push our buttons. Staying calm in the face of an explosion takes lots of practice and something that I continue to work on. It’s not okay, but it often is the reality. It definitely happens in this house and I feel terrible about it. My younger son continued to need help, but because he did not explode in the same way my older son did, he came second. A lot. On a day to day basis, my youngest is so much easier to deal with. He is not nearly as challenged at school, with friends, and at home. His elementary school gave him a 504 on my first request. Writing was really his only problem that presented itself at school. Getting his thoughts on paper was extremely difficult – to the point of tears. There were many accommodations listed on his 504 to help him in these areas. But, guess what I learned? Just because you have a 504, does not mean anything is actually happening. Despite teacher conferences, emails, and phone calls, my son rarely got extra help. By the end of 4th grade, my son’s writing still had not improved much. I suspected dysgraphia – a disability where writing down thoughts on paper is very difficult-a common trait of kids with ADHD. To be honest, I did not have the energy to get another diagnosis. The 504 got him little extra help. What was the point in finding another thing to add to it? We spent the summer after fourth grade writing almost everyday. It was painful – for us both – and I am not sure how much it helped. Progress was slow. You have to listen to the whispers and follow your gut. “Our teachers appear when we need them.” is another good one. When the Occupational Therapy stint was over, I kept researching. I knew there was something more. Yes, we were eating great and taking supplements, and in great talk therapy, and getting some support at school. But I still questioned my older son’s ability to handle feelings and emotions, he was so sensitive to pain and crowds and loud noises, nervous about the weather, nervous about family gatherings. His reactions could be just like that of a 3 year old, but in a 12 year old body. My therapist suggested I look into the work of Sonia Story, an OT, trained in reflex integration and rhythmic movements. I had heard of this work before – twice – from a trusted colleague. I had a gut feeling about this and I signed up for Sonia’s online course. Reflex Integration Therapy is a type of Physical Therapy that uses nuerodevelpmental movement to mature and develop the body’s reflexes for optimal functioning. Sometimes the bodies reflexes do not develop properly as infants and can be a root cause for difficulties in social and emotional behavior and learning. Most of us are familiar with the idea that crawling and tummy time are great for baby. These repetitive movements help to integrate babies’ reflexes. We are born with about 70 reflexes which should be integrated naturally over the course of the first months of life. But when they are not integrated and left present, they can cause many problems – many of which fall under the ADHD diagnosis: Poor attention, moodiness, a quick fight or flight response, trouble writing. There can be so many reasons why an infant’s reflexes don’t fully develop. But my own kids had issues at birth – my oldest was 3 weeks premature and my second was induced very quickly at 40 weeks. If this sounds intriguing you’ll want to look into this more and I promise some future posts about it. Sonia’s site can relay the technical information much better than I can. I can just tell you it’s amazing effect on our family. 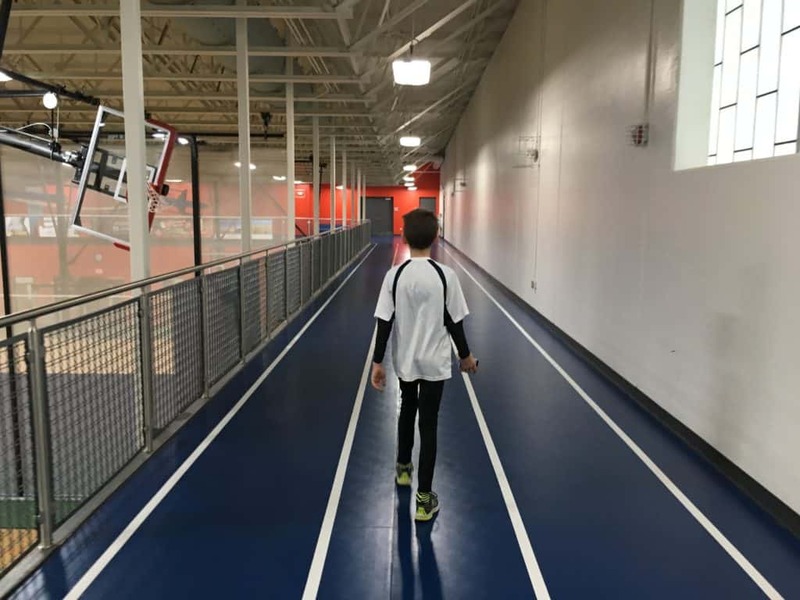 While I learned so much from the online course, I was overwhelmed with how to best use the movements for my own kids. I needed to make sense of the wealth of information and I found a local therapist, specifically trained in reflex integration, to help. Our therapist evaluated both my boys and set up a routine that I can do at home with them. We visit her on a monthly basis to check in and tweak our routine. The movements are simple and completely individualized to the reflexes that are still present in my boys. I spend about 10 minutes on each kid 4 to 5 times a week. Daily work is optimal for us, but with school activities and homework, it just doesn’t happen. Six months in and I can see the results. Reflex integration therapy has had an amazing, tangible effect on both of my kids. My older son’s angry outbursts, while not gone totally yet, have diminished in both frequency and strength. He is getting better at recognizing and naming his emotions and telling us how he feels. He may have a short outburst, but will very quickly turn it around and apologize. We are definitely on the right track. My younger son’s handwriting and his ability to just put his thoughts on paper has improved tenfold!There are no more tears and drama when it comes to writing!! This has been amazing to watch. It is also helping with his ability to remember and focus – he’s had no missing or late work so far this school year. This work can take some time, depending on the individual and this work is relatively new to us. It is taking longer to see big results in my older son, but I am confident they will come with more time. I am looking forward to the continued change I see in both of my boys. Talk Therapy is still working. Really working. It’s been a year now since we started with our therapist and he has helped us more than all 5 who came before him combined. What I love about his approach-Collaborative Problem Solving– is that we work to solve my son’s lagging skills. As parents, we are getting trained in how to solve a problem WITH my son, instead of just imposing consequences. I truly love this approach. The Lives In The Balance Website offers so many resources that are worth checking out. 2 steps forward, 1 step back – but still movin’ forward. It has taken time, but my oldest is learning to express his feelings in an appropriate way. He is learning that he will be heard and his wishes will be taken into consideration as we come up with solutions. The learning curve was steep, but now in seventh grade, things are much better for my oldest. His 504 alerts teachers to watch his screen and he has also matured enough to make better choices for himself – most of the time. Our journey continues in many ways. WE are still 100% med free. 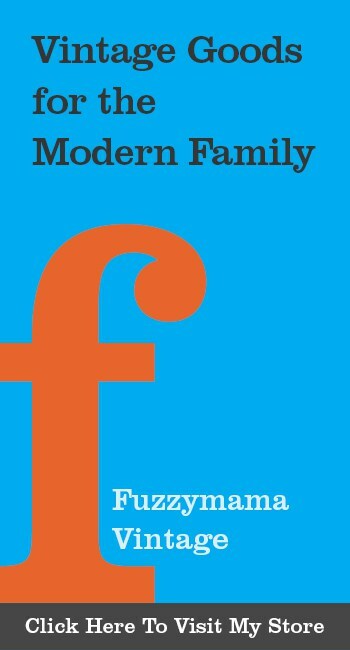 But, like all families, we have our good days and our not so good. Middle School is a tough age, but I feel that I have armed myself with many good things and good people who are really helping. We have learned so much over the course of four years. 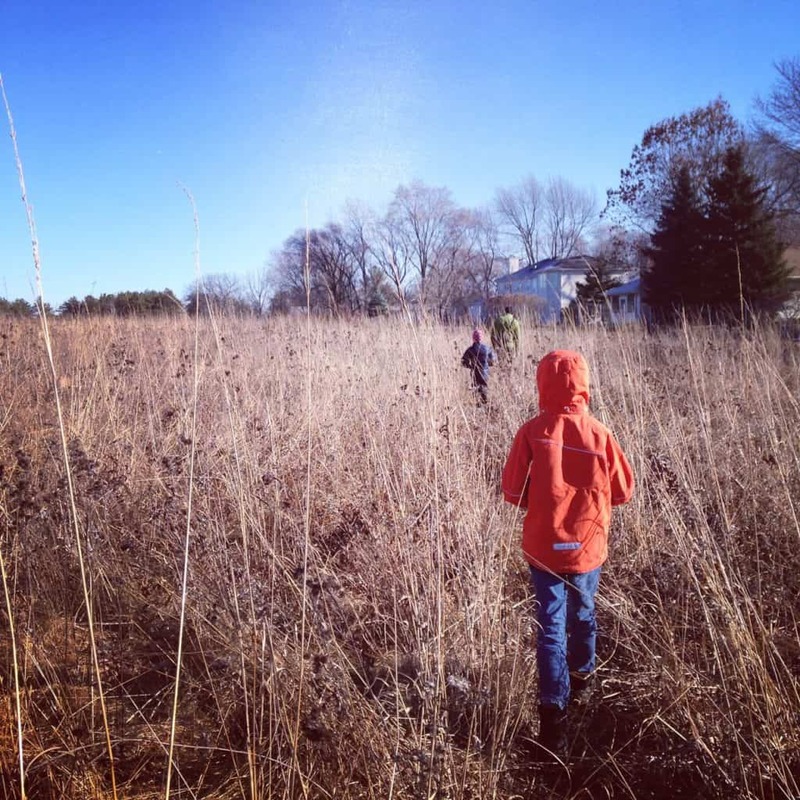 If I had to pick one natural ADHD remedy that has worked the best for my kids, I couldn’t do it. It’s everything together that helps. A few years ago, I was searching for the one thing that would solve all of our problems and now I know that it does not exist. Healthy food and supplements provide such a great base to work from. Getting a good nights sleep helps. Surrounding yourself with good people helps. Looking at behavior is communication helps. Keeping my reaction calm when my son is not calm, helps. I’ll keep you updated on our story as our journey continues and be sure to read about the first part of our ADHD journey on the road to using natural ADHD remedies, if you missed it. 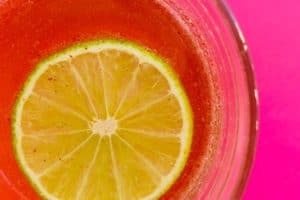 Want more ideas to help with ADHD? Read about The BEST Lunches for ADHD HERE. Get ideas for The BEST Breakfasts for ADHD HERE. Find out what The BEST Snacks for ADHD are HERE. 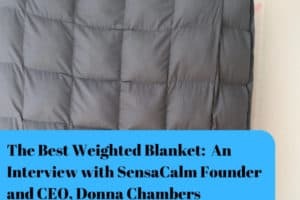 This Weighted Blanket is a life saver for ADHD. 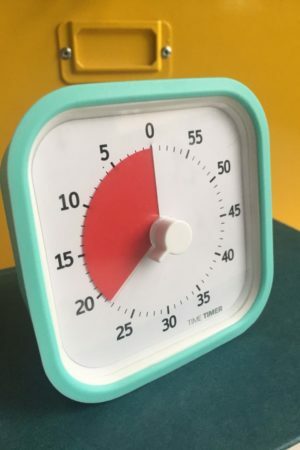 We love this TIMER for helping ADHD. Thank you so much for sharing your story, I recognize that for all parents of children with ADHD life is frustrating many times a day, read you fill me with empathy and I want to thank you so much to share what has worked for you. I live in El Salvador and with difficulty I have put into practice many of your advice, because in my country this diagnosis is not known and therefore there are no professionals with whom I can work to improve the ADHD of my son of 11 years. I want to take advantage and ask you about some advice to manage tolerance to frustration and anger with my son, maybe a toy o whatever, because it is a problem that I am living daily and is exhausting for both of us. I look forward to your kind response and thank you again for your words and work with this blog. Hi Reiny, Thanks so much for your kind words. I know what you are feeling – both of my kids get so easily frustrated with certain situations. I have been inspired by your question and am writing a whole post on frustration tolerance. In the meantime, when my kids get frustrated -usually about homework or chores – I divide the task into smaller parts to tackle(let’s try 2 math problems) or set a time limit(let’s clean the bathroom for 6 minutes and see how far we get). I also really try to remember that my 12 year old can often have the tolerance level of a 7 year old, but trying to do 12 year old things. I empathize, ask how I can help and try to talk thru the situation with him. Before I try any talking, I make sure he is calm. This may involve a break after an initial outburst over an activity. Hope this helps a little and look for the post in the next few days. Thank you so much Beth, I’ll be watching that post. My biggest problems are how to calm him down when I deny him something, because at that moment he doesn’t seem to listen to anyone or reasons, and he insists so much that I get frustrated and I don’t know how to handle him so that he understands, calms down and understands me. Hi Reyna(did I spell it correctly? : P)! Yes, once an explosion starts, there is not much you can do but keep everyone safe and allow for your son to calm down. Does he have a favorite way to calm down? Reading? Jumping on a trampoline? Walking outside? Have you read Ross Greene’s Explosive Child? Such a great book that talks about how to work with your kids to stop the behavior before the explosion starts.The method is called collaborative problem solving. I’ll give you an example from my own life. My son’s job was to take out the garbage every night. He would refuse to do it about 75% percent of the time. It always led to a fight. So one day, not when it was time to take out the garbage, I started a conversation. “I noticed you get angry when it’s time to take out the garbage” There are some more detailed instructions in Greene’s book. But basically, I discovered that my son hated to go out with the garbage because it was dark and he hated the alley at night. So we came up with the alternative of him taking it out right after school when it was dark. No more fighting over that issue!!! His website is called Lives in the Balance and he has a podcast, too. I’ve found his work to be extremely helpful. Anyway, the strategies you used are really interesting. I’m intrigued by reflex intergration. Can not wait to learn more. Bless you for opening up. Lives will be saved. thanks. Hi Sarah! Thanks for your nice note…the more I open up about my story, the more people come forward saying, “that’s my kiddo, too!” Reflex Integration has been a whole new way to think about ADHD…our therapist keeps reminding me that ADHD is simply an immature brain – and the brain is malleable. I’m reading Smart Moves by Carla Hanford and Movements That Heal by Harald Blomberg. They are a bit meaty and technical but have some great case studies to read. It just makes so much sense to me and we have had such luck with it…it’s slow and steady work, but actually gets to the root of the problem instead of treating the symptoms. Let me know if you have anymore questions. You have described both of my boys to a T! I have been searching for any sort of direction and advice on what to do, so your post has given me so much hope. This parenting road with polar opposite yet active children has left my husband and I feeling secluded and weary. It is nice to hear from someone who has walked closely in our shoes. I look forward to reading your other posts! Thank you! HI Elaine, Glad you found my blog! There are many, many people walking in our shoes. I know how hard it is and I’m right there with you. Hold onto those good moments and let them expand. Make sure you are doing something to take care of yourself, too. Let me know if you have any specific questions. I am happy to share insights from my experience. I too have found Dr. Ross Greene’s book The Explosive Child to be very helpful! There is usually an underlying reason that the child is not cooperating and if you can “drill” that out and come up with a solution life keeps getting easier for everyone. This includes teachers. I am sorry your oldest son was denied a 504 plan. According to the Office of Civil Rights, ADHD is considered a qualifying disability unless the school can find substantial evidence otherwise. You don’t need to have an academic problem to have a 504. An academic delay should really initiate an IEP. I had difficulty initiating a 504 plan for my son as well and ended up hiring an attorney to help us with the process. If the collaborative problem solving method works for your child an accommodation in the plan might be to have any teacher that works with your child read about the method and understand how to use it. It should be his primary “consequence” when he is having difficulty at school. 504 accommodations are often used to address behavior issues so children can participate and be productive in the classroom. 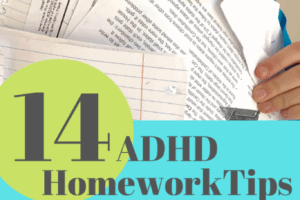 There is a lot of useful information regarding 504 plans and ADHD on the OCR website. Just put ADHD into the search field. Hi Amanda! Thanks for your comments. Luckily, my son’s explosions have only happened at home, and his social worker at school is familiar with CPS. I should take another peek at the website, though. I have not checked it out for many months. What would you say your toughest problem is right now as a parent? I appreciate your thoughts. Thank you so much for sharing your family’s details. Your vulnerability is invaluable to so many of us. I was about to start looking for a therapist and now would love to find one with a collaborative approach. Do you know how to find a therapist who is certified in CPS? Hi Courtney, Thanks for your kind words. I found ours on the Lives in the Balance Website. Let me know if you can’t find one in your area…I can ask our therapist if he knows of one. Ross Greene’s podcast is great, too…I was listening just today and felt like they were answering my questions exactly!! Thank you for sharing your story and giving a Ray hope. My son was diagnosed when he was in 2nd grade and we did medicine for a month and I could not handle to see my son feeling low everyday in the evening when the meds would wore off. We stopped and we tried to bring in the healthy habits, vitamins etc. but lack of my own control to we have been on and off the good habits. He has struggled through the social and schools mostly. Doctor wanted to put him back on the meds and my son who is in 6th now feels miserable he has to take medicines to do better and he is emotionally hurt. I feel equally hurt to see him that way and want to do everything to help him. I will check on your reference to reflex therapy. It’s probably hard to find a good therapist. My son is mostly struggling with attention or ADD so is Ross Greene book still applicable for that? Hi Anitha, My heart goes out to you because I know how you feel. Ross Greene is mainly for explosive, emotional kids but his Collaborative Problem Solving work is great for all. Listen to his podcast to get a feel for the work before you buy the book. Let me know how things go for you and your son and if you find a practitioner in your area. Thank you. I will check out the reflex therapy and we have started to teach him some basic breathing and meditation too. Will look into the blanket and podcast. We have been peeping him saying we will find ways to take him of meds and I hope I can do that for him.